We at IngredientMatcher are delighted to have so many Facebook friends in Myanmar. It is a country that we would definitely like to visit and get to know better, not only because of our fantastic friends we’ve got there but also because we are very eager to try lahpet, which we have just discovered. Lahpet seems to be a very unique ingredient to Myanmar. Burmese cuisine is very much influenced by neighbouring countries’ food cultures. That is why you will recognise the delicious flavours of the Thai cuisine as well as the savoury and spicy flavours of the Chinese and Indian cuisines. There is however one ingredient that stands out, and is quite unique to Burma: pickled tea leaves. These can be found in various dishes like the salad Lahpet Thok (Pickled Tea Leaf Salad). 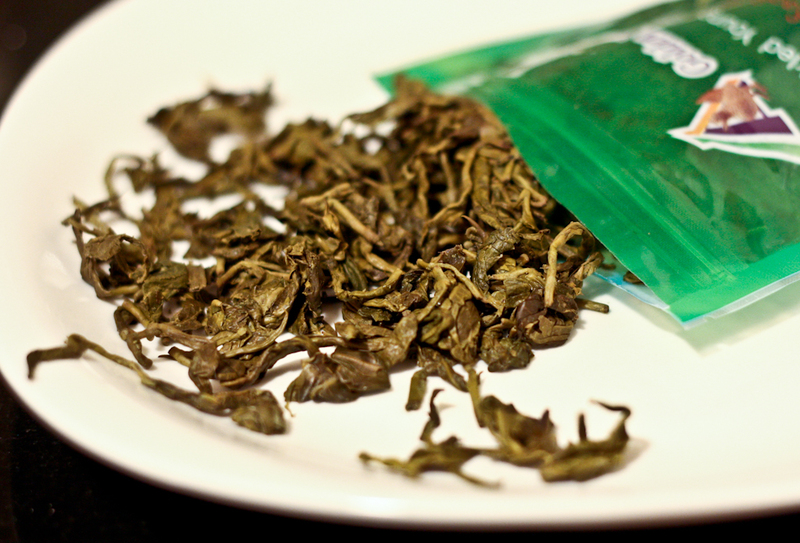 Lahpet means wet tea leaves and is a pickled variety of the green tea. Of all the tea produced in Myanmar, 17 % is consumed as pickled tea. The process of making lahpet involves drying or fermenting the leaves. The better the leaf quality the more likely it is to be fermented in bamboo vats. The end product, lahpet, can be found everywhere in high-streets and in different varieties and labels from various part of the country. The taste of lahpet is described as bittersweet and pungent, and seems to go well with tomatoes, green chilies, lime, and sesame oil – some of the ingredients that make out the popular dish Lahpet Thok. Lahpet is said to help the food digestion and keep you alert and focused, the latter most surely associated with the tea leaves content of theanine, a stimulant similar to caffeine. It is therefore very popular among students preparing for exams. Since lahpet will help you digest your meal, it is usually served at the end of the meal. Not only is lahpet served as part of the everyday meal, it serves at festival occasions and ceremonies like weddings. Lahpet was an ancient symbolic peace offering between warring kingdoms in the history of Myanmar, and is exchanged and consumed after settling a dispute.